Im selling my Red 2017 Santa Cruz 5010 CC Large frame as I am moving on to a longer travel 27.5 bike. Long story short, coming of XC racing I thought the 5010 would be the perfect fit for me, and for the most part it was. However, I started riding the big feature trails in my area again and it feels under biked for some of that stuff. 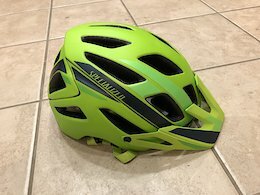 The frame is very capable and it can do almost anything short of real DH, but the margin of error in the big stuff is smaller than I an comfortable with now. Honestly, I really liked the bike it rides very true to all the glowing reviews the 5010 typically gets, playful, poppy and sharp. 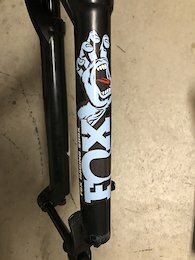 The bike will come with the original FOX DPS shock, which I feel makes the bike the most poppy and playful, and would be good as a backup. Currently, it has a DPX2 performance elite of a Bronson 2 with the RWC roller bearing upgrade and the volume spacer kit from fox. 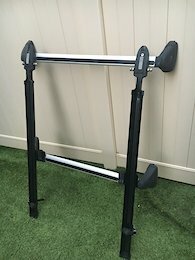 The stroke on the shock has been reduced, contact for details. In my opinion DPX2 does cause the bike to loose a tiny amouunt of the pop, but it makes the bike way more capable and consistent overall. I really noticed the DPX2 on the Cannell trail in Kernvillle with its long sustained single track decent. I have a Alpine Threadworks custom frame bag I can include, its about $70 bucks new. The frame is in good condition overall, no damage to the frame, It has cosmetic scoffs and few scratches typical with use as it is a mountain bike. It has a few chips from rocks getting kicked up, I tried to take pictures of that. 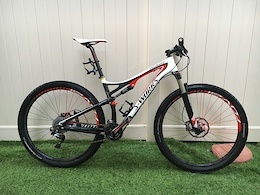 Included at asking price: Frame(boost spacing), rear axel, headset, seatpost binder, Fox DPX2 performance elite with volume reduced kit, Fox DPS performance elite(OEM to bike), Alpine Threadworks Performance Satchel. Feel free to ask questions or for specific pictures. I have a box ready for shipping if needed. I am sad to see it go but it no longer fits in my bike stable plan. Posted in "Fox x2 on a 5010"
Posted in "SC Reserve Wheels or Race Face ?" Posted in "Dumping the new DPX2?"